I remember the first time I ever took a quick sniff of dip bait. I can’t recall who I was with or where exactly, but I remember some of the conversation leading up to my “turn”. After my buddies expressed their dislike for the smell they handed the jar to me. Not thinking too much of it I spun off the lid and took a chance. I don’t know if I have told anyone of them to this day but I didn’t dislike the smell. Well, I didn’t like it either but I wasn’t in disgust like they were. I think it’s because I knew what that stuff was capable of catching. To them, it was just something funny to try and for me it was the beginning of my love hate relationship into the world of “dippin’ for cats”. Those who have been catfishing for any given amount of time can almost instantly pick up and recognize that tangy smell of catfish dip bait. Often times I have found myself with the subtle smell of bait lingering in the air, sitting comfortably in my chair listening to the sounds of nature, while my eyes wander from admiring the views to studying the tip of my pole for simple signs of interest. Dip bait or “stink bait” as many people have grown accustomed to calling it, no doubt due to the potent smelling ingredients used in it that a catfish can pick up quite easily, is among the top used of all the catfish baits. While no certain brand can actually be named the “best” some people swear by a certain brand due to its texture, smell, quality or ability to stay on the rig the longest. Some flat out feel that one brand may catch more fish than any other. There are many flavors, smells or textures available. The best tactic for any angler is to buy a few different flavors to try out in a body of water. One day the catfish may be biting on the shad flavor the next day they may be favoring the blood flavor or the cheese or the beef or the garlic or the… well you get the point. And, as with all baits, presentation experimentation is the key to success. While trophy sized fish are more aggressively feeding on live bait, the smaller “eater” sized fish that everyone enjoys catching are the main targets when using dip bait. Dip baits will catch some larger catfish but typically the one to two pounders will be what find your stinky offering most tantalizing. A common myth about fishing with dip bait is that it can only be fished during warm stale water conditions. In reality it can effectively catch catfish in any suitable water environment. I believe this myth was developed with the use of the now diminishing sponge baits. With sponge baits the fisherman would be essentially soaking up scent into the sponge which would quickly get swept away in the water. The dip bait fisherman is dipping his bait, which is designed to hold and release scent slowly, into a sticky solution specially designed to hold and release scent slowly. This combination of locking in and releasing scent controllably has almost eliminated the use of the old sponge baits. There are numerous rigs on the market designed for the bait, most popular being the dip bait worm. The dip bait worm comes in many shapes and sizes but most all will consist of a soft deep ribbed plastic worm tipped with an equivalent sized treble hook. Other brands may have a grouping of strings or a tube to hold the bait inside. These worms are designed to pick up and hold the dip bait in the ribs allowing for the slow release of the scent into the water which in turn attracts the curious cats to the bait and hopefully after a fun filled fight, into your hands. Dip baits come in quite a few different types of containers. Most popular being the jar, which allows quick, easy and open access for dipping and reapplying the bait to the rig. It also comes in tubes when can ease the application by allowing the user to simply squeeze the bait onto or into their rigs. 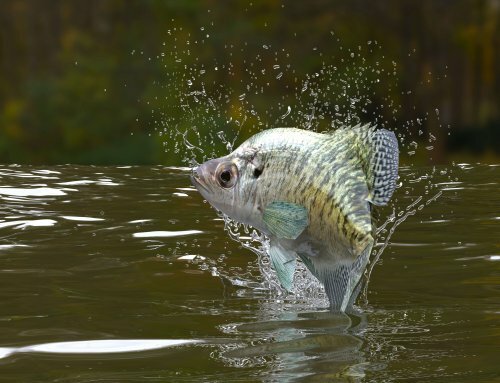 When fishing, the bait should remain in a cool stable environment. If the bait is in the sun it may become too soft to be applied on the rig and be swept away by current much faster. Also if the bait becomes to cold it may become to thick and it may be a pain to get the bait to stick on the rig. This also applies to storing the bait over time. A cool stable environment is ideal to prevent premature aging. On hot days, a cooler with a few cold beverages or a small ice pack will sufficiently keep the dip bait fresh and of the right consistency for dipping. Just make sure the cooler you choose is one the wife wont scorn you for using. If no cooler is available, find a shady place for the container to rest while not in use. Even on hot days, the shade can be five degrees or more cooler than in the sunlight. One great thing about dip bait is its ability to be fished in many different ways. It can be used on the bottom on the end of a traditional slip sinker system. It can be used on a three way rig to keep it off the bottom, and it can also be drifted over rocks at/or slower than the current your fishing in. As long as it’s in the water and releasing its scent it is going to attract fish to it. Many people use dip bait nearly year round. It is a soft material that slowly breaks down in water to release its scent. The ideal time to use stink bait is when the waters are warm and there is a calm but constant flow, it is best used in slack slow moving current. 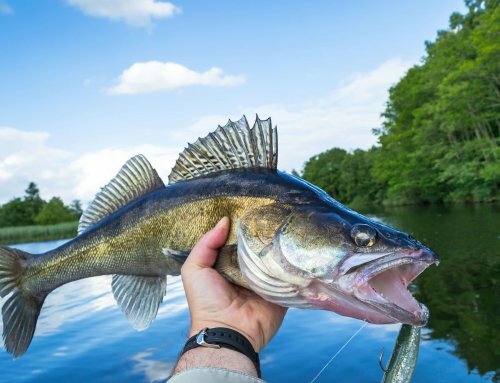 This is due to the fact that water flow and water temperature create ideal conditions for the breaking down of the bait to be released into the water. Dip bait can be used in cold water but it dissolves slower releasing less scent during a given time. 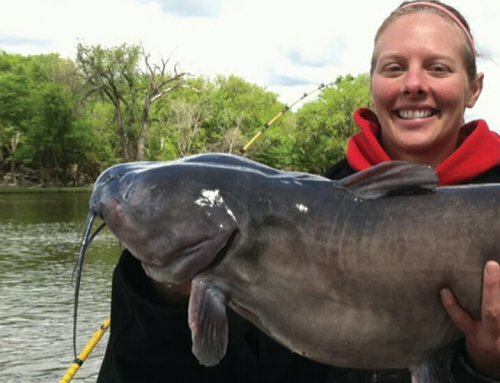 Your presentation should be set upstream of any location which may be holding catfish. Keep in mind that even in ideal set ups you will still need to re-bait about every 15-20 minutes. This is best done by using a towel to dry the worm before reapplying and casting as close to last position as possible to maintain the scent stream. 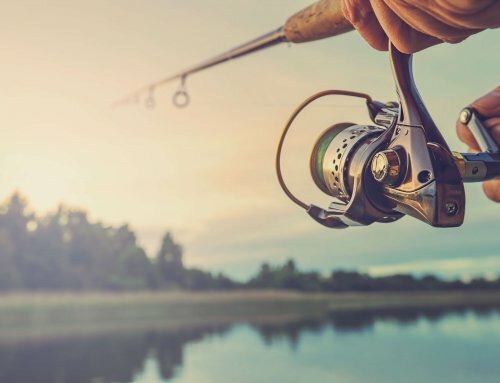 After an angler has been fishing with dip bait for any given amount of time he or she may begin to wonder what other flavors or scents are available to them. In reality the availability is unlimited as with a little bit of experimenting, homemade stink bait can be concocted in a short amount of time. Water and flour can be mixed to create your ideal consistency. Cheese can be blended in to add flavor. Many different types of meats can be added also such as liver, beef, or baitfish. Scents can be added such as vanilla or anise oil. With a little time and thought a good mixture can be easily made up in your kitchen or garage. I would recommend the garage and also a separate blender or food processor due to the smell you may be creating. -Melt 1/2 – 1 lb. of cheese for about 1 minute in the microwave to soften up. (Velveeta style soft cheese works great). – Chop 5-9 oz. of raw pork, fish, liver etc. These can also be chopped and added in any combination. -Chop 1 head of garlic. -Pinch of garlic salt into 1 can of wet dog food. -Enough flour to create a “dough like” consistency. Mix in a food processor adding flour or water to create your desired consistency. Flour can be substituted with numerous ingredients such as crackers, oatmeal, cornmeal or even more natural occurring things such as the fuzz off of cattails. Note: This recipe by no means has to be followed exactly. 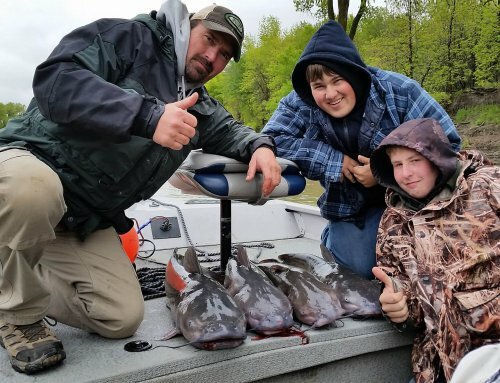 It includes many of the basics that are found in most but not all commercially produced catfish dip baits and I encourage each person to enjoy creating their own secret recipe. So get out there, and get to dippin’. Play around with the various baits and set ups. Make your own bait. Catch them kitties. Dive into the world of dip bait, you may be surprised at its ability to catch fish time and time again. .